When the snow goes, Bixi bikes and food trucks arrive en masse. Both have wheels and apps to help you find them, but only one serves grilled cheese. Where can I find the food trucks? There are many ways to find out where the food trucks are, though they have designated places and times they are allowed to be in the city. Food trucks also appear at special events as well. The locations where you can find them regularly are in the map below. They usually open after 11 a.m., and closing around 5 p.m. Some open earlier, some stay open later and at special events, all bets are off. Where to find a specific truck? The twitter list of trucks: HERE. On the first Friday of the month from 4 p.m. – 23 a.m., Les Premiers Vendredis (the first Fridays) send the trucks out en masse to Olympic Stadium. There, enjoy your truck food and get your beverage of choice at one of the on-site bars that serve wine and beer. DJs and other performers create a carnival-like atmosphere. Another Food Truck joy is Les Survenants, when the foodtrucks come out in a caravan. Street performers, musicians, and artists take over the neighbourhood. Events will happen in Mile End, Rosemont, and Bassin Peel this year. Watch HERE for details. What kind of food is served on the food trucks? 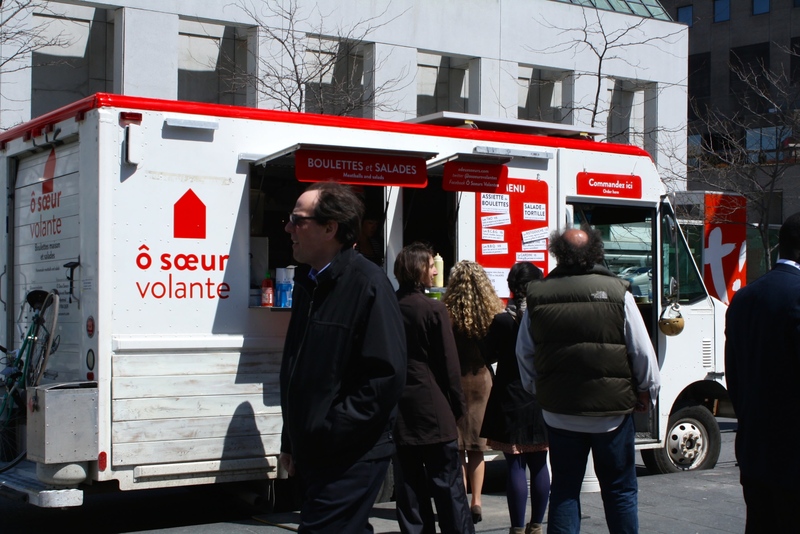 Montreal’s Association des restaurateurs keeps its protectively bureaucratic hand and discerning eye on the food trucks, limiting their number and evaluating their quality. Those that pass muster are rolling showcases for the variety of cuisines. 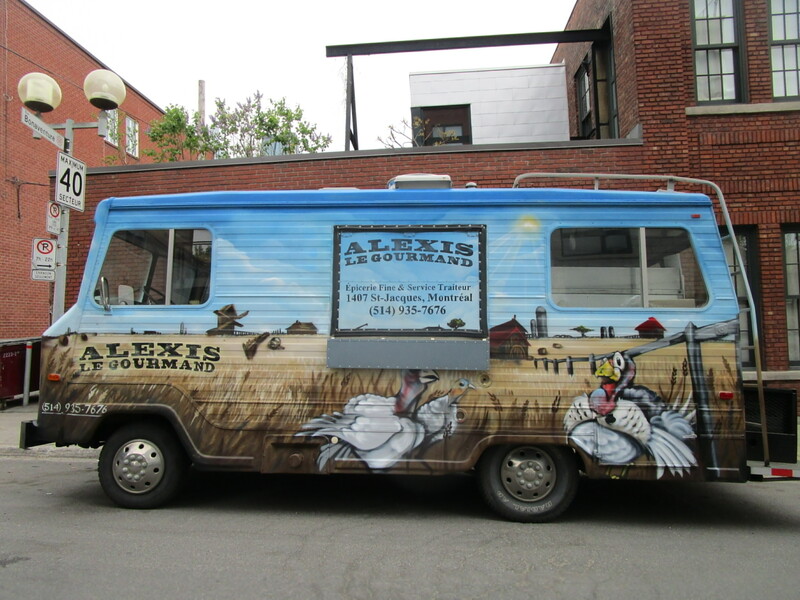 Just as Montreal has a myriad of cuisines in wonderful permutations, our food trucks are varied in what they offer. Many trucks change their daily offerings to reflect the freshest ingredients possible. There’s no one way to group them since every truck serves a variety of things. Most that serve meals also serve deserts. Many that serve deserts also serve drinks. While some are specialists, others are generalists. Check ahead of time to know what’s on the menu as many post their offerings for the day online. *trucks marked with a ‘*’ only appear at special events. 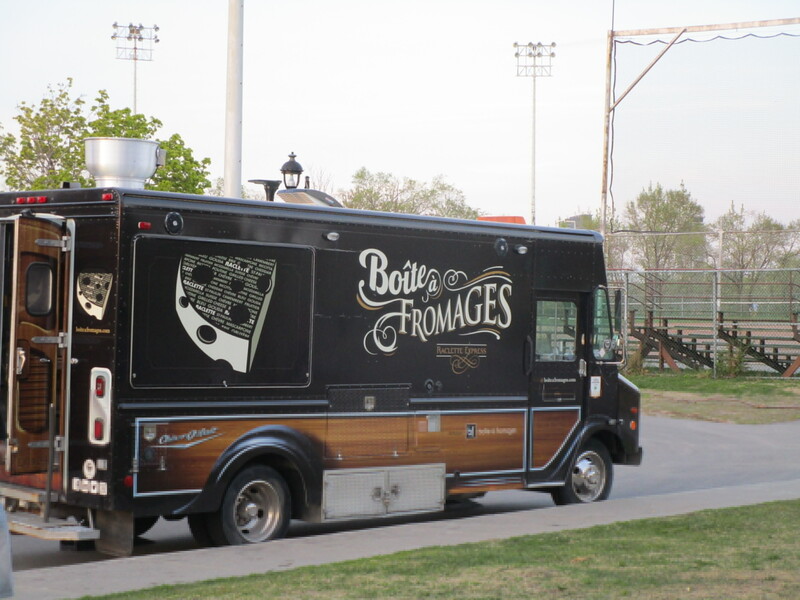 Boîte à Fromages – The Raclette express is here with cheese dishes and raclette machines. Their speciality is braised beef and carmalized onions. P.A. & Gargantua – Grilled cheese. The city would suffer without it. *Frite Alors — Your favorite french fries to go and go and go. Served in a cone! *Meatball Montreal – Polpette in a multitude of forms and not just meat! Zoe’s Truck – Sandwiches and Mediterranean inspired foods from scratch. Pas d’couchon dans mon salon – Pulled pork and a lot of it, as well as oysters . *Les Brigands – These guys bring you tourtières, pâteé, and pies. Phoenix 1 – Get ready for the Naanwich, a naan bread sandwich. Not just tandoori food, but also a mix of cuisines. *Chaud Dogs – Gourmet hot dogs! 8 inches of all-beef dogs with various toppings. Le Quai Roulant – Seafood meets streetfood. Fish n’ chips, crab cakes, and sausages. Landry and Filles – Snack bar on wheels. New Brunswick specialties like Ployes (salty pancakes), creton, smoked salmon, duck. O Soeurs Volantes Home cooking that goes from rotilla salad to boulettes..
Camion Pied de Cochon – Duck, foie gras, and plenty of pig. L’Assomoir Mobile – BBQ and good living. Le point sans G – mixing up flavors and seasonality to create unique meals. No gluten either! 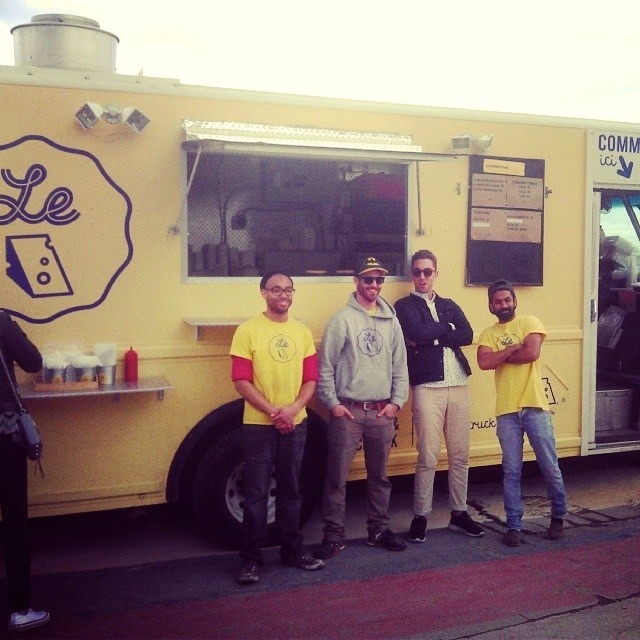 Le Nice Truck – Local cuisine of all kinds. Think healthy. *La boite a Grillades – Grilled things. *La Queue du Diable – Mexican wow! *Ca Va Barder – Butchery and deli. Air de Boeuf — You won’t have to ask where’s the beef*Winneburger – As if the name didn’t give it away… the hamburger of food trucks. Also, kettlechips and the famed Arnold Palmer of half lemonade and ice tea. The truck, sadly, is up for sale, so it’s current fate is unknown. Europolonia – Polish and Eastern European cuisine with plenty of perogies. Das food truck – We’ve got schnitzel to go. *Le Smoking BBQ – Southern US BBQ food with pulled pork poutine and baby back ribs that won in St. Louis. *Saigon, je me souviens! — Vietnamese Banh Mi, rice, and other tapioca goodness. Grumman ’78 – Tacos with great fillings. *Ta Pies – Australian/New Zealand foods that serves savory pies as well as deserts. L’Express Mobile – Thinking Chinese and Sushi? La Cantine Libanaise – Food from the Middle East, schwarmish! *Temaki Sushi – Sushi, of course! *Lola’s petits gateaux — 10 different cupcake flavours per day from S’mores to the gluten free Turtles cupcake. *Fous Truck – The best croissant in Montreal comes to you. Gaufrabec – Big, sweet, crips Belgium waffles. *Mr. Cremeux – Fresh, regional ice cream and slush. Crêpe Moi – Le creperie to go. *Délices D’Antan – bakery best known for its potato doughnuts! Café Mobile Dispatch – mobile espresso by Chrissy Ducak. Panthere mobile/The Green Panther – get your falafels, your tempeh sandwiches, and all things organic and vegan. Nomad SO6 — Grilled sausages made from minced pork shoulder and other ingredients. Nitrate free, high quality ingredients. Lucille’s – Get your oysters on. *Zeste – The Quebec food network prepares… turkey. *Bagels st Viateur – bagels, of course. 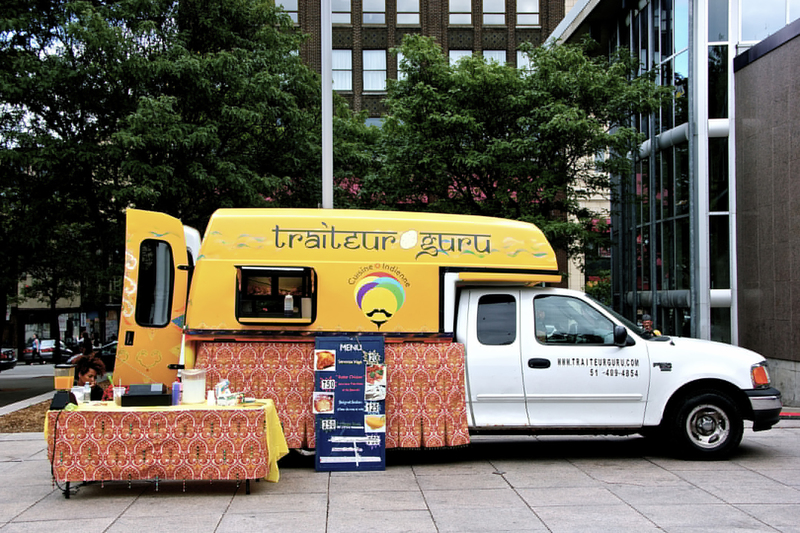 Got a food truck question or concern? 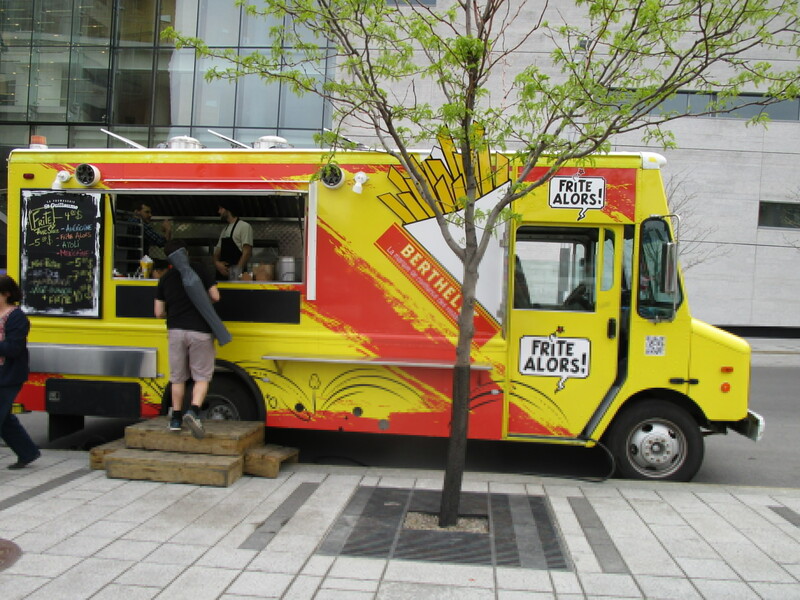 Want to review the food trucks for Montreal Rampage? Let us know!